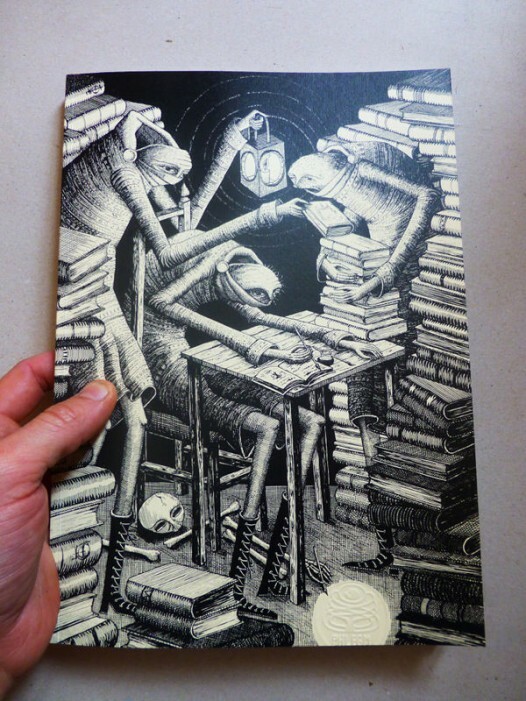 Phlegm, one of my favourite artists, is releasing a book on 1st June via his Big Cartel and if the cover is anything to go by, it’s going to be amazing! 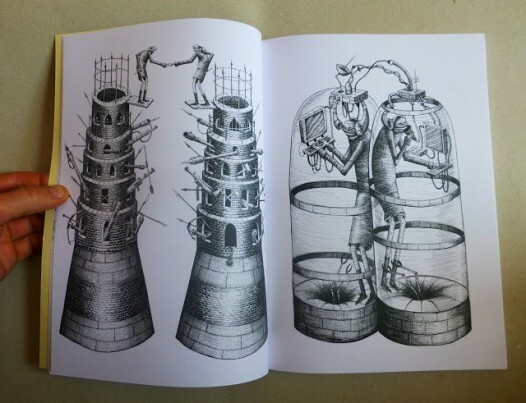 Set for release at 1pm, the book will gather together the collection of pen and ink illustrations that he’s based on the walls he’s painted over the past few years. 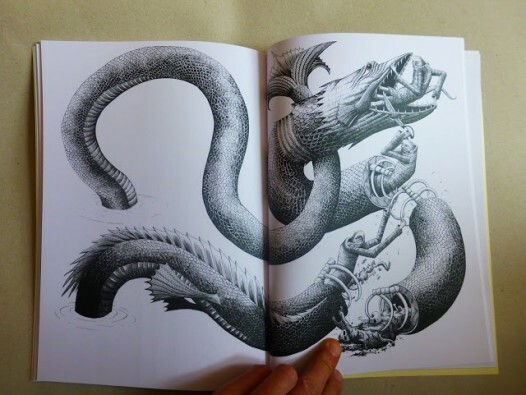 The covers are hand printed and embossed by the man himself and so there’s been a great process, with care and attention to get this book done ‘right’. Based on the pictures of the sample pages below, we can’t wait to grab a copy of this to leaf through the 80 pages of excellent work inside. 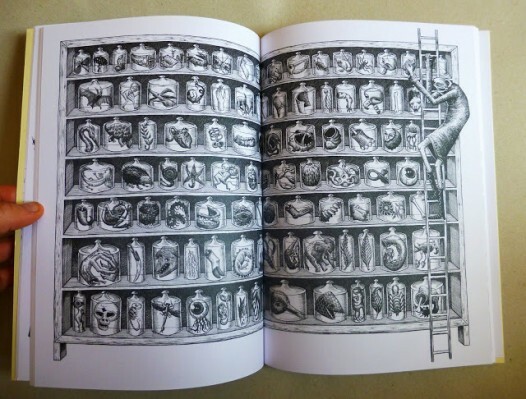 It looks incredible and a great testament to the love and attention that is seemingly put into all of Phlegm’s work. 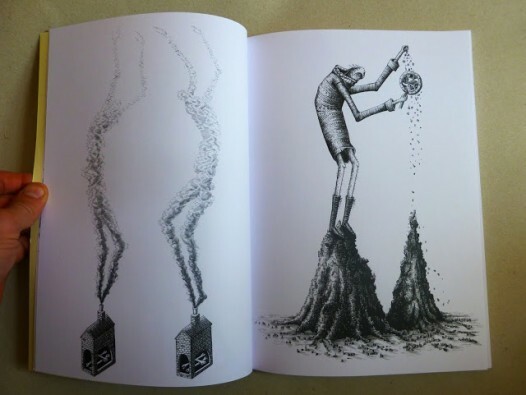 Comic printed and bound in sheffield by Evolution Print using vegetable based inks and a heavy weight 170gsm part recycled paper. People in Sheffield are best to pick up their copy from The Old Sweet Shop or Rare and Racy Bookshop. Both stocking from 1st June. 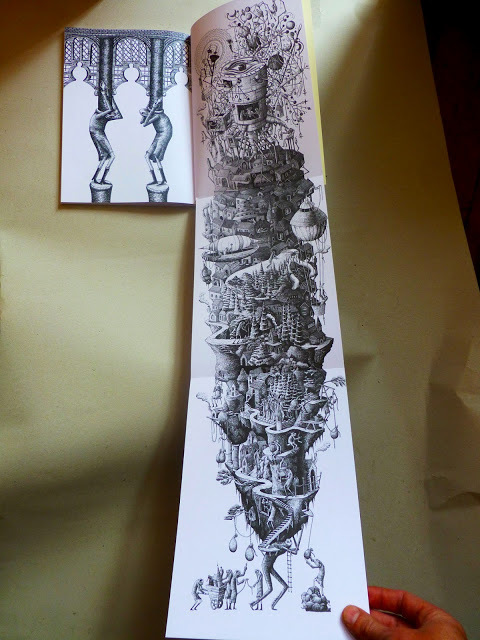 There will also be some copies for sale at Gosh Comic Shop (1 Berwick St, London, W1F 0DR) and there will be further details on Phlegm’s blog as and when he has them. 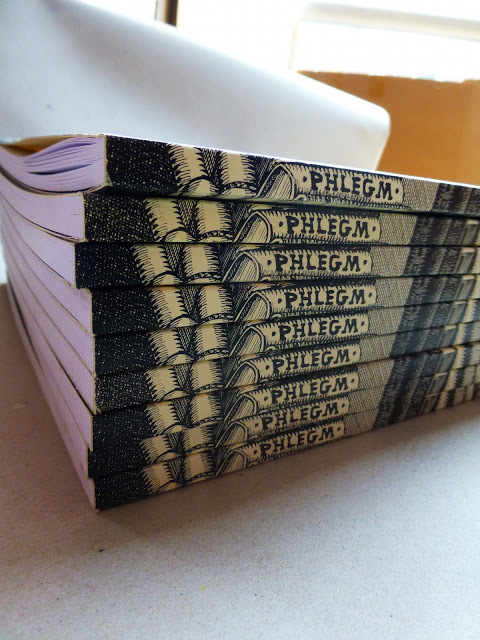 Express your interest by emailing phlegmpress@gmail.com so he can get an idea of numbers.